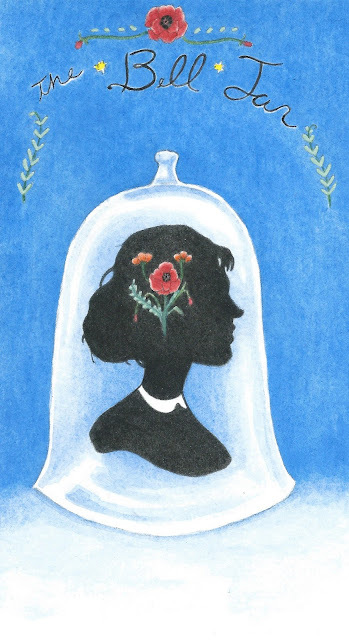 The Bell Jar by Sylvia Plath has been on my to-read list for a number of years. I was familiar with her poetry, but I had never had a chance to read her semi-autobiographical novel. I finally came across a lovely used copy at Powell's Books in Portland before I made the big move here to Norway. I enjoyed the book very much and I find myself continuously fascinated by the author so I thought I would pay tribute to her with a couple of book cover designs. 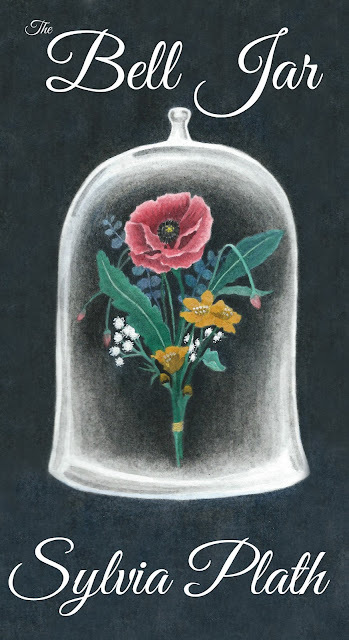 I love the idea of the suffocating but beautiful bell jar and I chose poppy flowers to symbolise her fragile state and the opiate qualities they possess.